Good-byes are never easy. The Cerna Foundation made a tragic good-bye easier for someone with ALS who required intensive care. 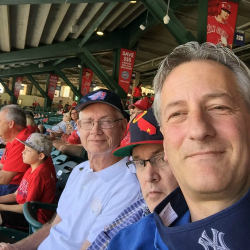 On December 21, 2016, Tom Cottom died from a very aggressive and swift battle with ALS. As the disease progressed, he was in the Cerna Foundation’s care. The Cerna Foundation raises money, awareness and volunteers to care for those in need. Tom is survived by many friends and a sister; he never married and had no children. His dad also died from ALS at age 60. Tom did not want to take the chance of passing the disease to his children. Cerna Home Care operates a board & care facility in Irvine, California. However, “facility” is too clinical a name for this space of love and nurturing. It is indeed a “home” where the people who are cared for – and their caretakers, have grown to be a family. The home is staffed with devoted Cerna caregivers that have strong attachments with residents and their families. One such Cerna caregiver is Bora Pov. Cerna Home Care, provider senior home care services, kicks-off 2018 with news of progress in the areas of leadership, expansion and technology. These exciting developments have been set in motion to better serve families and care recipients. The perception of “the OC” is one of sunshine, beautiful beaches, affluence and high-end homes. That perception is partially true. However, there is another no-so-sparkly reality of poverty, hunger and homelessness. Since 2014, the annual number of Orange County homeless people has increased by an alarming twenty percent. 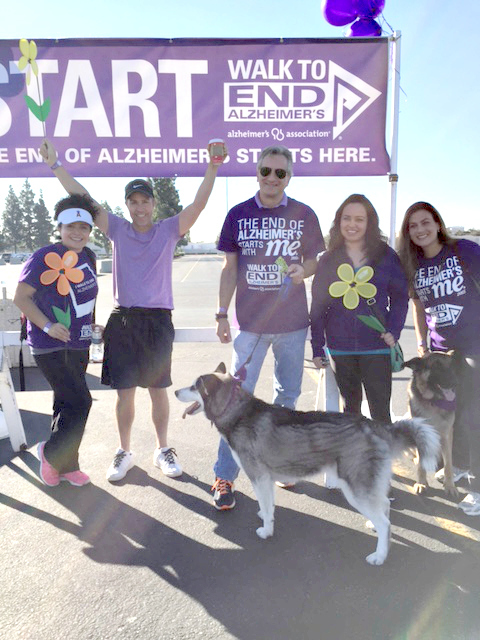 The Anaheim Walk to End Alzheimer’s was on November 14, 2015. 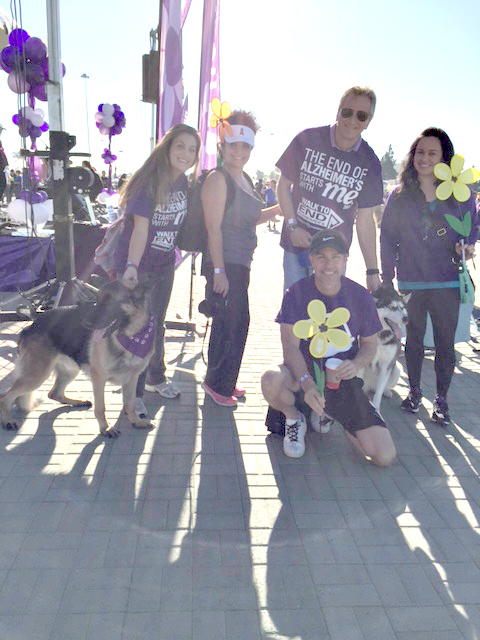 Cerna’s CEO Nick Payzant participated in the Alzheimer’s walk along with Marc Friedman Cerna’s Senior Vice President – joined by Cerna’s Catalina Elwell, Laila Shanedling, family and friends. The day was filled with hope as people walked for a cure – and in remembrance of loved ones who will never see a cure. The Alzheimer’s Association Walk to End Alzheimer’s is the nation’s largest event to raise awareness and funds for Alzheimer’s care, support and research. Held annually in more than 600 communities nationwide, this inspiring event calls on participants of all ages and abilities to reclaim the future for millions. 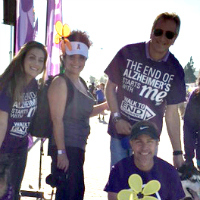 Together, we can end Alzheimer’s disease, the nation’s sixth-leading cause of death. Caring for a person with a cognitive impairment or traumatic brain injury can be counter intuitive. Innately, the response is to guard, protect and keep him or her secure at home. After decades, a family learned living in their injured family member’s world was the only way for them all to live – and flourish, thanks to a top San Diego neurologist and Cerna Home Care. Fill out this short form and one of our Care Specialists will contact you for a completely FREE Needs Evaluation. Fill out this short form and we will send you a completely FREE information Packet. Get the answers you are looking for without the headache of scouring the internet for eternity! Cerna Home Care, an Irvine-based home care and nursing services company that specializes in services for the elderly with injuries and diseases of the brain, has found that enlisting a caregiver not only reduces stress among the family but also significantly improves the life of the care recipient. Many studies have shown that people with cognitive impairments live longer and healthier lives while being cared for at home. As the baby boomer generation ages, now more than ever, you should know your options in caring for your loved one if they are facing forms of Dementia and age-related diseases.